Alright, I’m back with the latest edition of the Firefly Cargo Crate from Loot Crate and Quantum Mechanix. 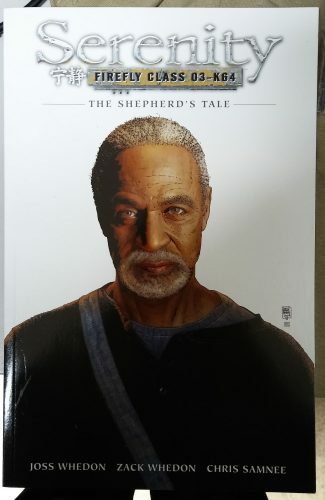 This time, the theme is “The Worthier Part”, dedicated to everyone’s favourite preacher-man, Shepher Derrial Book (played by the late, great Ron Glass. We miss you, Ron.). Let’s start with a graphic novel, dedicated to the man himself. Now, I already have a hardbound copy of this, but still. It’s nice to see a full graphic novel included in one of these boxes. 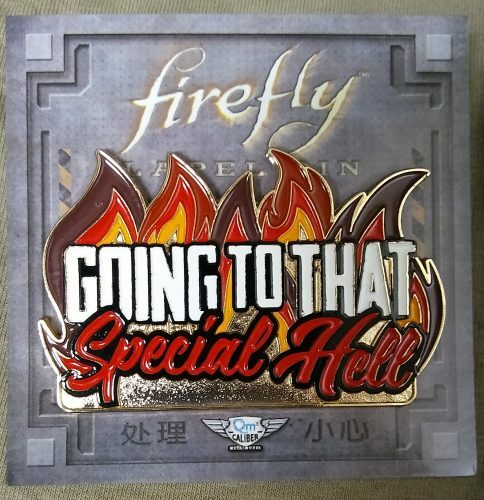 If you haven’t read it, it’s a very important piece of the Firefly/Serenity lore, as it fills in the backstory of Book prior to the events of the show, and leads up to his final moments before being found by Mal on Haven in the film. Book was always something of a quietly mysterious character on the show, and this helps pull back the curtain on the mystery. 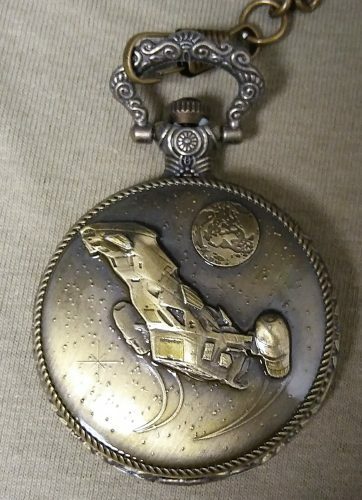 A must-have for all Browncoats. Up next, the QBits blind-box figures are back! Alright, it’s Badger! Badger appeared on the show from the very beginning and quickly became a favourite character, played by actor and nerd/geek icon Mark Sheppard. The options were either him or Zoë, so I couldn’t go wrong either way. Nothing against Mrs. Washburne, who I adore, but when I saw Badger was one of the options, I immediately hoped to get him, since he’s another character like Saffron who never gets much in the way of merchandise. Item #3 is a sticker. This comes to us from Southdown Abbey, where Book spent his life becoming a holy man prior to joining the rest of the crew on the Serenity. Maybe the best-looking sticker we’ve gotten yet, with great detail given to the abbey itself, with a nice partial nod to what brought Book to the crew with the advertisement for Shepherd’s Strawberry Pie. We’ve got another flashcard in this installment. This one is for Haven, in the Blue Sun System. Haven eventually became Book’s home after he and the rest of the crew parted ways, as well as a safe-haven (pun intended) for the crew in between jobs. Sadly, it also became Book’s final resting place, when the Alliance gunned him and the rest of Haven’s residents down. 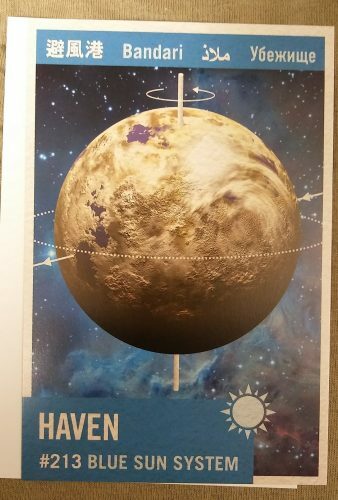 Like the rest of the cards, there are various facts about the planet listed on the back. Onto the regular lapel pin inclusion. This one features one of Book’s most famous lines. Nice-looking with bright colours and a simple-but-cool design. And the picture doesn’t do it justice, but it’s gorramn big for a lapel pin. Easily the biggest one I’ve gotten in these crates. It’s going on my Browncoat lanyard, which goes with me to all the conventions, so I’ll get some mileage out of it. Moving onto the shirt, this one is not related to Book, but rather the man they call Jayne. It’s a grey-green plain shirt, but with this shiny design on the shoulder. 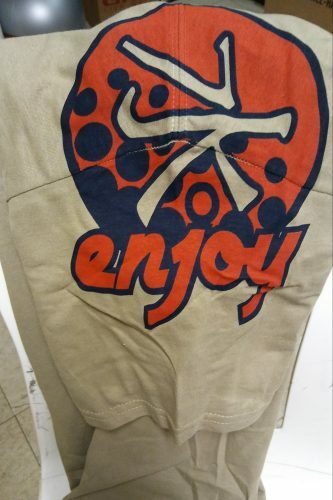 This was included in the crate due to the odd-but-charming friendship Book and Jayne formed over the course of the series, and is in fact an exact replica of one of Jayne’s shirts from the show, designed by Firefly’s lead costume designer, Shawn Trpcic. Jayne always had a cool assortment of shirts on the show, and this is no different. Two more items to go. 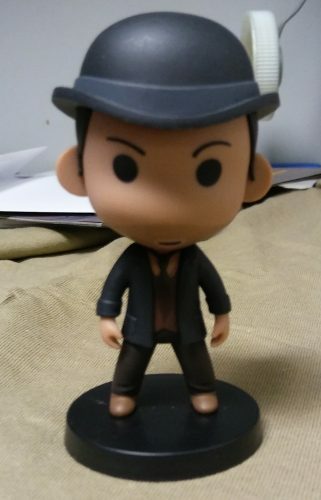 First is a new Little Damn Heroes statue of the man himself. I love these statues so much, and the likeness for Book is less cartoony compared to the others. This perfectly captures the look and feel of Book, and I am excited to put it on my desk with the rest of the crew (thus far), where it rightfully belongs. 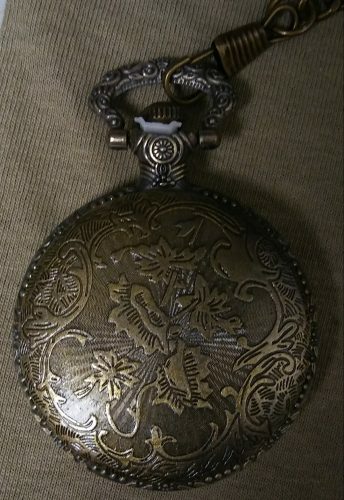 Finally, we have what I consider to be the coolest item in the crate, an exclusive pocket watch. The box alone is pretty cool. Let’s take a better look. This is a beautiful item. Really beautiful. And you could definitely see either Book or Simon Tam sporting one. Plus, it’s an actual working watch, which definitely gives it some practicality. 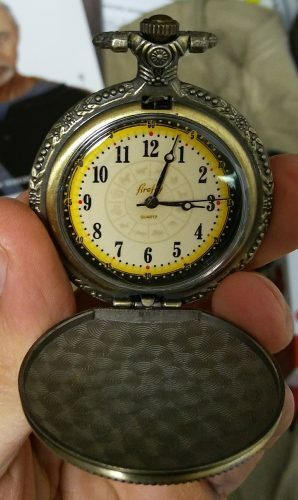 I love watches, especially pocket watches, so this will be a pretty treasured piece in my collection. Honestly, I’m afraid to wear it on the chance it could get damaged. It may just have to be a display item for now. And that’s okay. Loot Crate and QMx knock it out of the park once again. I love everything in this crate, and I am so grateful that it was dedicated to Shepherd Book. Ron Glass’ death was one of the celebrity deaths to hit me the hardest in 2016, and I know I’m not alone in that. Much thanks to all the shiny Browncoats at both teams for helping keep the memory alive. Well, that’s all for this round. Next time, the theme will be “No Power in the ‘Verse”, starring everyone’s favourite tiny little inhuman killing machine, River Tam. See you then!